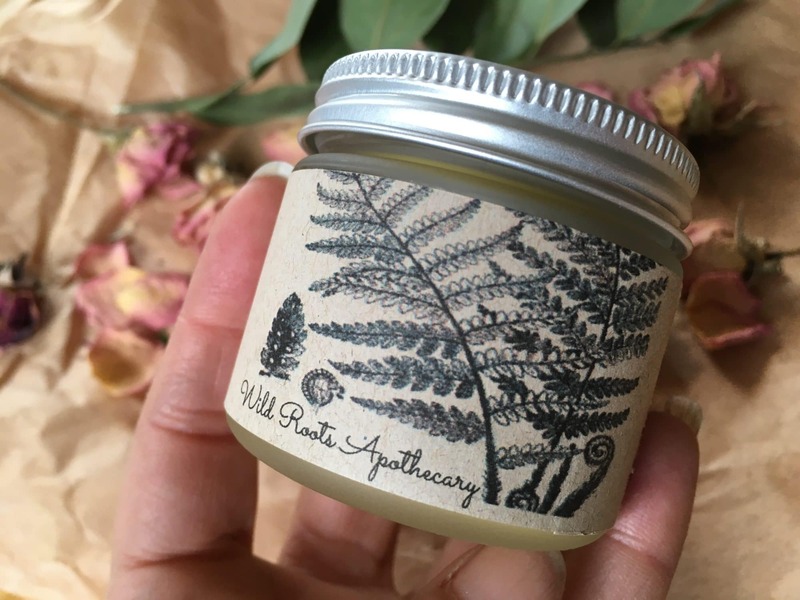 Shauna has blending this delicious, rejuvenating face cream just for us, from her home apothecary in Portland Oregon. It’s so utterly creamy and fragrant, words can not do it justice. I am so in love! Here are some words of wisdom about the carefully selected ingredients: The reishi mushroom is coveted for it’s life giving, regenerative qualities and is known as the mushroom of immortality. When used topically reishi reduces skin inflammation, corrects free radical damage, and promotes healthy cell regeneration. 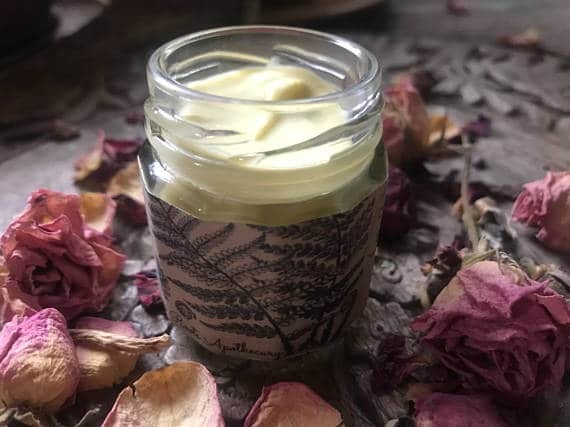 Shauna has mixed her home grown Reishi magic with Rose, another ancient beauty secret has been utilized by women for ages because of its ability to soothe anxiety and depression with its scent alone. When applied to the skin rose is abundantly nurturing, packed full of vitamins, minerals, and antioxidants. Rose is emollient, antiseptic, astringent… rose literally cradles you in its warm, loving embrace. 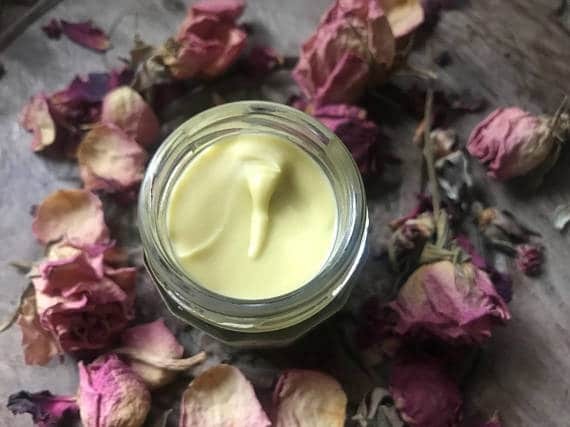 Raw honey, rich in antioxidants, seals in moisture and soothes skin, creating a vibrant healthy glow to keep your face fresh and youthful, as you mature. 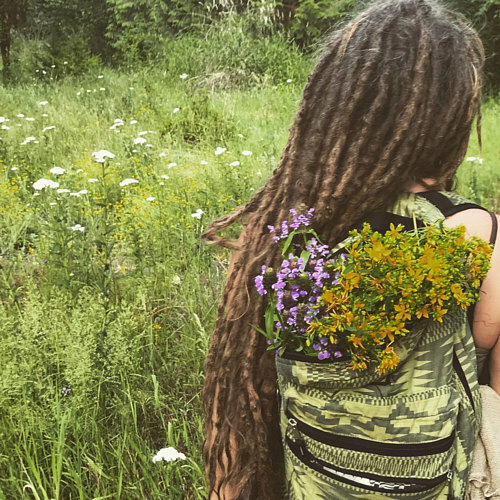 Organic oils of olive, MCT coconut, almond, jojoba & hemp, infused with wild rose, nettles, yarrow, calendula, helichrysum, Oregon grape root, St. John’s wort, elder flowers; raw Theobroma cacao butter, raw fair trade shea butter, organic aloe vera gel, vitamin e, damask rose hydrosol, calendula hydrosol, raw linden blossom honey, poplar bud infusion, reishi extract, pure essential oils of frankincense, Bulgarian lavender, Corsican helichrysum (immortelle), damask rose absolute & pure wild love.